IQS Directory implements a thorough list of inline gear reducer manufacturers and suppliers. Utilize our listing to examine and sort top inline gear reducer manufacturers with previews of ads and detailed descriptions of each product. Any inline gear reducers company can design, engineer, and manufacture inline gear reducers to meet your companies specific qualifications. An easy connection to reach inline gear reducer companies through our fast request for quote form is provided on our website. The company information includes website links, company profile, locations, phone, product videos and product information. Customer reviews are available and product specific news articles. This source is right for you whether it's for a manufacturer of inline gear reduction boxes, inline gearbox reducers, and right angle gear reducers. We are a manufacturer who will treat you with respect. Our proven solutions are cost efficient and incredibly long-lasting. It is our mission to exceed your expectations. We promise to treat you with respect while supplying the best inline gear reducers on the market. Our highly trained staff is here to assist you if any issue ever arises. We look forward to sharing our expertise with you! 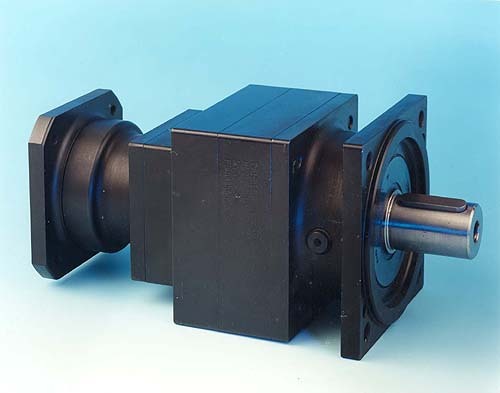 We manufacture gear reducers for a full assortment of industries including: defense, entertainment, metalworking, mining, oil, packaging, pharmaceutical, plastics, pulp & paper, satellite communication and more. The durability of our inline gear reducers is paramount to the successful operation of our machines. If you have any concerns or questions then please just let us know! All of our inline gear reducers are put through extensive and rigorous testing under the meticulously watchful eyes of our quality control team to ensure that we are providing our customers with nothing but the best products possible. We have made it our goal to exceed customer expectations with every encounter to keep you coming back to us for all of your needs. Visit us online today to learn more about what we can do for you! Apex Dynamics, Inc. is a worldwide leader in manufacturing of planetary gearboxes. Based on more than twenty years of accumulated manufacturing and marketing experience, plus the highest level of technical production capabilities, Apex Dynamics, Inc. designed and built a technically advanced, high speed, low backlash servo application planetary gearbox. Inline gear reducers are mechanisms that reduce the speed, torque or direction of an input shaft using gear ratios that are aligned along the same centerline. That is, the input shaft is aligned with the output shaft. Inline gear reducers are used in a system with other components in order to decrease the incoming speed and power so that the parts that follow are able to handle the power and operate effectively. Inline gear reducers are related to gear boxes, gear drives and reduction gears. Most are made of strong but lightweight steel and are able to handle heavy loads and transmission torque. They must be carefully selected based on weight, size and the characteristics of the larger system and the input that it will be receiving. 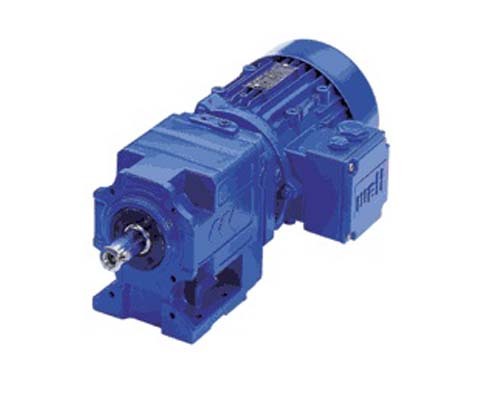 The ratio of the input speed to the reduced output speed is called the reduction ratio and is another important factor to be taken into consideration when selecting a gear reducer. Inline gear reducers are widely used in metallurgy equipment, robotics, automotives (specifically the transmission) and other machinery-related applications to reduce the power, keep the size of machines and equipment lines to a minimum and to handle heavy shock loads. Inline gear reducers consist of a series of gears and bearings in a heavy duty enclosure. Aligned and lubricated input and output shafts protrude from either end. A motor attached to the input shaft causes it to rotate at a certain speed and a series of reduction gears lower the rotations per minute to slow the rotational speed. The diameter and circumference of the gears varies depending on reduction ratio. An input shaft rotates a gear that turns a larger gear. Because of the increased circumference, the second gear requires more time to rotate the full distance and does not turn as quickly as the small first gear. Multiple gears may be connected in series and the output shaft is attached to the final gear to deliver the desired speed reduction. Reduction ratios usually range from 5:1 to 200:1 though higher performance speed reducers are available. If the gear reducer is directly mounted on a motor then it is deemed a gearhead; if it is coupled with the shaft and mounted elsewhere it is called a gear box. Shaft mounted units are also available. Inline gear reducers may be combined with other reducers to meet specific requirements and they are available in different styles to accommodate a variety of mountings and setups.